Traditionally, power engineering has been a subfield of energy engineering and electrical engineering which deals with the generation, transmission, distribution and utilization of electric power and the electrical devices connected to such systems including generators, motors and transformers. Implicitly this perception is associated with the generation of power in large hydraulic, thermal and nuclear plants and distributed consumption. Faced with the climate change phenomena, humanity has had to now contend with changes in attitudes in respect of environment protection and depletion of classical energy resources. These have had consequences in the power production sector, already faced with negative public opinions on nuclear energy and favorable perception of renewable energy resources and about distributed power generation. The objective of this edited book is to review all these changes and to present solutions for future power generation. Future energy systems must factor in the changes and developments in technology like improvements of natural gas combined cycles and clean coal technologies, carbon dioxide capture and storage, advancements in nuclear reactors and hydropower, renewable energy engineering, power-to-gas conversion and fuel cells, energy crops, new energy vectors biomass-hydrogen, thermal energy storage, new storage systems diffusion, modern substations, high voltage engineering equipment and compatibility, HVDC transmission with FACTS, advanced optimization in a liberalized market environment, active grids and smart grids, power system resilience, power quality and cost of supply, plug-in electric vehicles, smart metering, control and communication technologies, new key actors as prosumers, smart cities. The emerging research will enhance the security of energy systems, safety in operation, protection of environment, improve energy efficiency, reliability and sustainability. 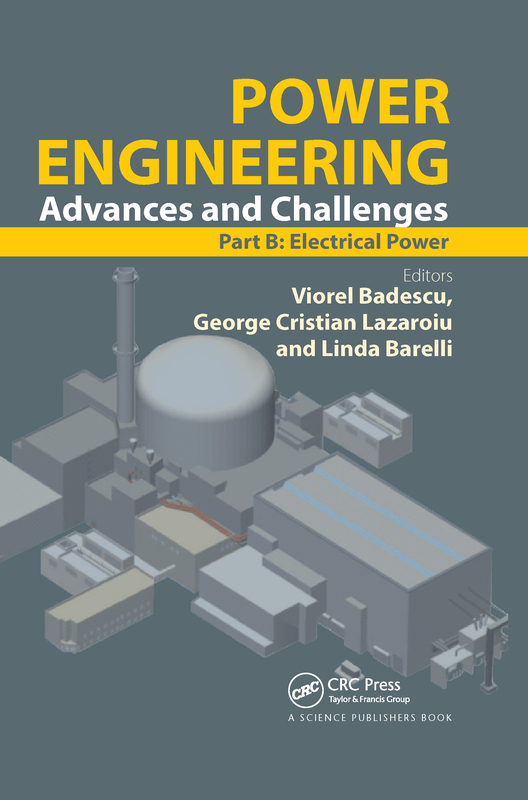 The book reviews current literature in the advances, innovative options and solutions in power engineering. It has been written for researchers, engineers, technicians and graduate and doctorate students interested in power engineering.